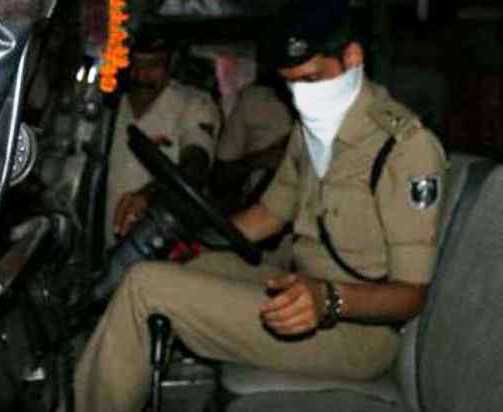 When senior Bihar police official “stole away” police vehicle from thana campus! PATNA: Bihar was witness to a unique theft last night and the high-profile “thief” was none other than Patna’s senior superintendent of police Manu Maharaj himself. It so happened that the SSP went on city patrolling on his bike late last night to personally check if the cops were doing their duty properly. When he reached the Kotwali thana (police station), he found a police jeep fitted with wireless set and GPS system parked in the campus but none attending it. He waited there for about 10 minutes and then started the jeep. Again, he pressed its accelerator hoping someone would come out hearing its sound. As none came out, he took the jeep and moved around in the state capital from one police station to another for over three hours before returning home early in the morning but none enquired about the vehicle. Reports said in the morning, the SSP called up the police inspector asking if everything was all right. He also asked him to check the number of vehicles parked in the campus. When the inspector said “everything is fine”, the SSP again suggested him to check them properly. It was only then that he found one of the vehicles missing from the police station, leaving the inspector nervous. Subsequently, the SSP narrated the entire story to his colleague while announcing to dismiss the jeep driver for dereliction of duty. He also warned of action against the inspector if caught not attending his duty properly.